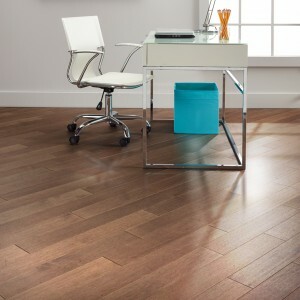 Hand scraped hardwood has a distinct look and old world feel that goes back hundreds of years.  Each board of Vintage's hand scraped hardwood flooring is unique, scraped and crafted by hand then stamped on the back by the craftsman. 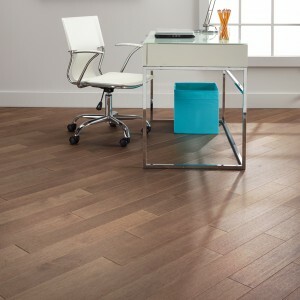 Hand scraped floors tend to require less maintenance than smooth finish floors and help hide everyday wear. They are contoured to accentuate the natural beauty and character of each species. 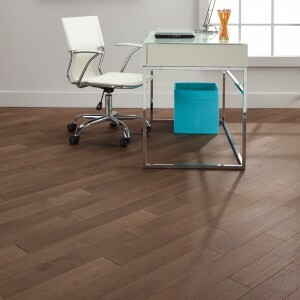 Not to be confused with Hand Scraped floors, Wire Brushed floors are another unique and beautiful option for a textured floor. 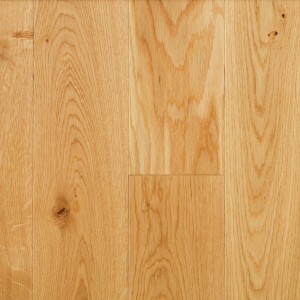 During manufacturing, these floors go through a rotating wire brush that removes the sapwood or softer spring grain of the wood, highlighting the natural richness of each species. 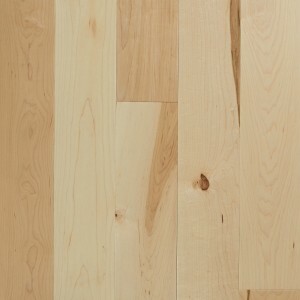 This brushing technique with its UV Urethane Oil finish (synthetic oil) is a perfect mix, as the UV Urethane Oil enhances the wood, preserving the natural look and feel of the brushing. 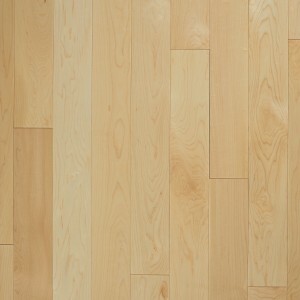 These floors tend to hide dents and scratches extremely well and everyday wear is blended in. Wire brushing is very conducive to achieving 2 tone floors, giving you a European style and look. Vintage's proprietary "Etching" process allows the surface of the wood to become more durable and helps mask regular wear and tear. Etching offers a look that will complement modern, old world, and literally all design styles you can dream up. 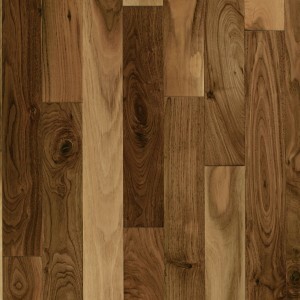 A uniquely beautiful and stable reminiscent of Black Walnut is created when White Oak goes through a fuming process that brings out the natural tannins of the wood. This process allows the color to penetrate the lamella so that scratches and dents will blend in more. Certain Vintage products such as Excalibur and Spartacus are then stained to produce amazing tones of gray and caramel. 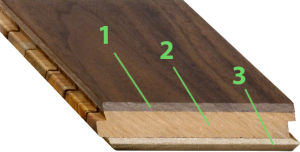 Rift & Quarter Sawn wood is cut at a specific angle to increase stability and minimize warping. 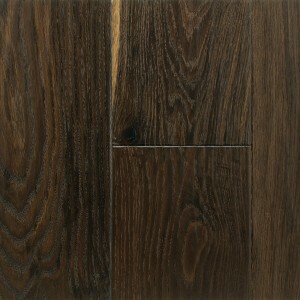 Rift Sawn wood has a linear look and the Quarter Sawn wood has an amazing ribbon-like effect and some flecking. 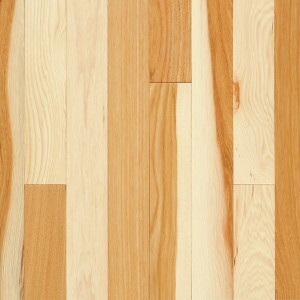 These cuts of wood are combined since they compliment each other to create a beautiful, stable floor. 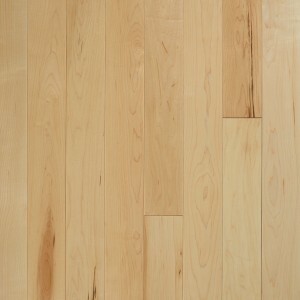 A modern twist on traditional hand scraped hardwood floors, made in Canada from premium oak hardwood. "Sculpting" the wood adds depth, detail, and practicality for daily use. Another great choice to help hide everyday wear.  Transform your home with elegant Smooth prefinished Hardwood Flooring by Vintage. 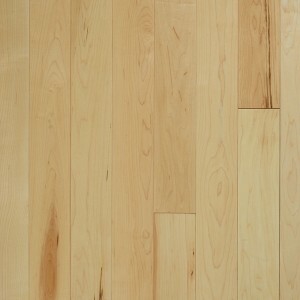 Our hardwood has unmatched quality, beauty and durability. With the smallest micro-v bevel in the industry, Vintage's smooth floors are easier to keep clean and looking beautiful for years. With 5 species, 4 grades, 7 widths and over 90 colors to choose from, you can easily find your style. Structures At vintage, we offer five types of flooring structures for different installations and different conditions. Estate: 12" - 79" Average 32"
Select-V: 12" - 79" Average 32"
Heritage: 10" - 79" Average 30"
*Lengths will vary by width. 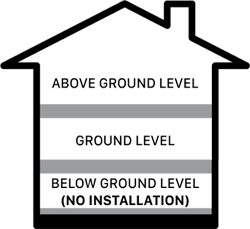 See product specifications for more information. Select-V: 18" - 71" Average 38"
Character: 18" - 84" Average 44"
Hand Scraped Character: 16" - 87" Average 48"
8” & 10” Long length Character : 24" - 115" Average 58"
Estate: 15" - 70" Average 33"
Select-V: 15" - 70" Average 33"
Character: 20" - 83" Average 42"
Grades Grades differenciate themselves by their appearances. 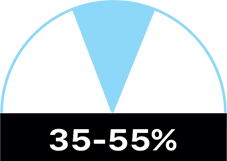 Some people will prefer clean and consistant colors, while other prefer more character and color variations. Estate is Vintage's cleanest and most consistent in color grade. Consists of clear and select boards. Small tight pin knots and natural characteristics allowed. 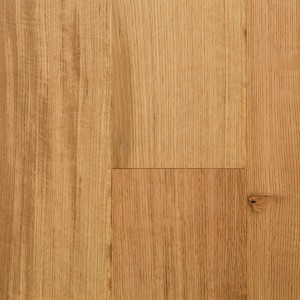 Select-V is a combination of estate and heritage grades, and consists of a blend of heart and sapwood. ¼" sound filled knots with some voids are allowed. 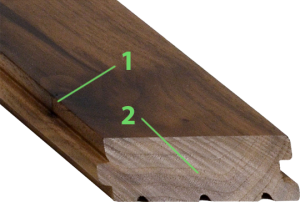 Splits, checks and knots on bevel are not part of this grade. Consists of mainly common grade boards. Lots of color variation with unlimited knots (2" of larger). Allows for pinholes, checking, worm holes and shorter average lengths. Some voids allowed. Unlimited color variation and naturally occuring characteristics. Unlimited sound filled knots (no limitation of size), checks and splits. Some voids are allowed. Species Discover what makes each specie unique and choose the flooring that matches perfectly to your décor. 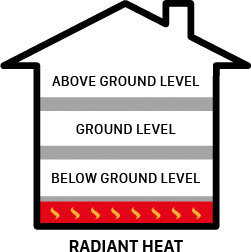 Gloss Levels Higher gloss reflects light while lower gloss absorbs and diffuses the light source. Each one of them has their own advantages. Now, you can decide which gloss is better for your perfect floor. A modern low gloss finish that helps to hide everyday wear and tear such as scratches and dents. 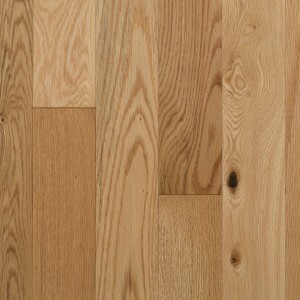 Pearl is offered on all Pioneered®, Hand Scraped, wide plank Solid Sawn®, Northern Solid Sawn™ and U-LOC® products. Vintage's semi gloss and Pearl comes with 9 coats of polyurethane, with Aluminum Oxide added for strength and durability. 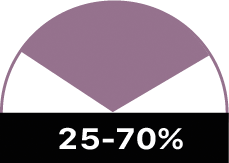 Traditional semi-gloss finish is the most reflective finish and is only offered on smooth surfaces. This gloss tends to be more formal. Semi gloss is offered on all Pioneered® and selected Northern Solid Sawn™ products. A European feel of an oiled finish, without the maintenance. 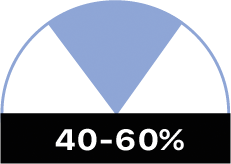 The lowest gloss level is excellent for high traffic areas. UV Urethane Oil (synthetic urethane oil) is standard on Wire Brushed, Etched and several Solid Sawn®, Northern Solid Sawn™ & Hand Scraped products. Vintage's UV Urethane Oil finish (synthetic urethane) uses ground breaking technology to provide a look that mimics oxidative penetrating oil, yet offers some attributes of a urethane finish, with some repair characteristics of an oil finish.